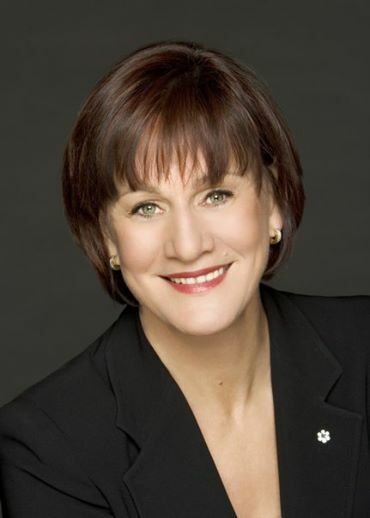 One of Canada’s most exciting and accomplished media executives, Denise Donlon is CBC Radio’s executive director. With 25-years experience in Canada’s music industry, Donlon is a former host, broadcast journalist and producer of numerous groundbreaking music programs for Citytv and MuchMusic, as well as vice-president and general manager of MuchMusic/ MuchMoreMusic and president of Sony Music Canada. In 1985, Donlon joined MuchMusic/Citytv as a music news reporter. From 1986 to 1993, she hosted, then co-produced, MuchMusic’s influential, internationally-syndicated news magazine The New Music. In her role on The New Music and in her subsequent work as director of music programming for MuchMusic/Citytv, a position she held until 1997, and vice-president and general manager of MuchMusic/MuchMoreMusic, which she held until 2000, Donlon helped launch and build the careers of countless Canadian artists and greatly increased the profile of Canadian music through syndicated programming throughout the world and through the launch of MM partnerships in the U.S., South America and Finland. In 2000, Donlon left MuchMusic to become president of Sony Music Canada. In this position, she continued to promote emerging Canadian talent and to work with established Canadian and international artists. Donlon left Sony Music in 2004 and has since lent her support and production abilities to a variety of high profile projects including Live 8; CBC’s Tsunami Concert of Hope; and the President Clinton Foundation Birthday Event. She currently sits on the board of the Canadian Academy of Recording Arts and Sciences and of Margaret Atwood’s ‘long pen’ project Unotchit Inc., is a trustee with Lake Ontario Waterkeepers (Robert F. Kennedy Jr.’s Waterkeeper Alliance), and is a volunteer with WarChild Canada.